I am a Chemical Engineer and working in Aquaculture Industry in India. Our Fish farmers raise Major Carps (Catla catla, Labeo rohita etc.,) . 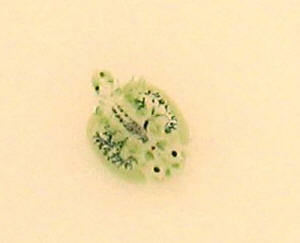 The is too much of Argulus (sea lice) here. We found existing medications cease to work due to raised resistance of Argulus. Would you enlighten us with some new formulas which we can try out? Emamectin Benzoate used to solve the problem some extent. But it became obsolete now in our Aquaculture industry. There are few unknown costly medications used by some dealers, (some say 'Biospot') whose formula is unknown. They stop the outbreak a bit, but again they lice come severe. Lufenuron, I did not try it myself. I am not sure whether people would have tried Lufenuron here. My best guess is someone would have already tried it here since we have around 1 lakh acres of inland Fish culture here, (dealing with Argulus is pretty aggressive here ) and few of the fancy new compounds (unknown chemical) worked for a while like 1 month, however they cease to work as the Argulus increases its drug resistance. Its a closed secret when a new medicine comes out here. However none of them hold more than 2 months. But I am not really aware of the 1:4 combo Lufenuron with Emamectin. In my research in the literature, I found these compounds Cyromazine, Trichlorofon and Praziquantel, which might not have been tried at our side. <Mmm; Trichlorfon and its many brand/generic names I'm quite familiar with. I wish to make new combinations with these and try out, with your suggestions. Regarding the sterilization of facilities, these are very large ponds (ranging from 10acres-100acres, with avg water depth ~5ft). We use formalin just as nominal water sanitizer, but it is not effective with Argulus. My idea here is ......considering a pond of 1 Acre with 5 ft depth (~160,000 gal, with 2500 pc.s Labeo Rohita), I want try out new compounds and combinations to checkout which works the best. I'd be more than grateful if you offer some insights in formulating. Thank you. <It's been many years since I had first hand experience w/ Argulus, these pesticides... Hence my suggestion to contact people in the field presently. I have Koi ponds & have Argulus. Do you know where I can buy aquatic Neguvon. I have a 4,000 gal Koi pond (only 6 Koi and 1 Goldfish). Water quality tests good. My large female Koi has an Anchor Worm on her right side. We spent hours trying to catch her on Saturday, but to no avail. All we did was stress all the fish out. Question, does the Anchor Worm need to be removed ? When the eggs hatch, will the female Anchor Worm fall off and die ?? I added De-Los to the pond on Saturday, but Rx very expensive for the volume of water in the pond and needs to be treated every 4 days ($70.00 each treatment). Is there another less expensive one time Rx for this ?? Lastly one Koi has a "cloudy eye" and went opaque. Bacterial infection as a result of parasites ?? What a frustrating hobby when things go wrong. Thanks a million for any advice you can give. Thanks for your into Bob... and welcome back to San Diego ! a product called Trichloracide for Lernaea. Would that work ?? Sorry for that narrow plane seat... soon we'll be flying under the belly of the aircraft along with our luggage. Just wanted to say thanks for your expertise. I ordered Trichloracide for the Lernaea (damn vermin). Hope it rids me of this never-ending headache. I should have taken up archery... maybe it would be more enjoyable to shoot myself in the eye. I appreciate your very prompt replies.